Christmas tunes monopolize my playlists. Dietary restraints have been temporarily lifted. And although behind schedule, we’re processing through our collection of holiday movies. Christmas is a wonderful season of tradition and celebration. Not quite three weeks ago, my family was focused not on Christmas, but Kenya. We were completing a two week adventure that included stops in Nairobi, Thika, Naivasha, Kijabe, Kilgoris, and the Maasai Mara. It was a spectacular journey that filled us with stories to ponder for a lifetime. We also spent time in the Kibera slum community. Home to hundreds of thousands, Kibera is a startling place. It is tragic, sad, and perplexing. Yet, emanating from a simple mud-walled Kiberan structure was the sweet aroma of hope, joy, and worship. 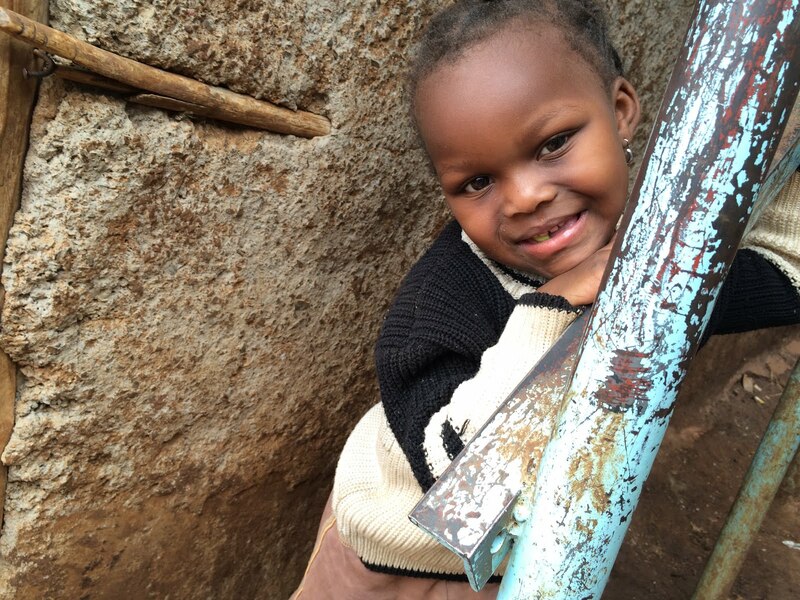 Enveloped by physical hunger, our souls feasted on the richness of redemption served to us by a humble pastor, his family, and Kibera children they love as their own. Kibera and Christmas. God is with us — all of us. Let us be hasty to laud the breadth of Christ’s mercy and grace. Shuffling step-by-step, the distant voices ricocheted and crescendoed along the narrow walls of mud and sticks. One hundred voices, conjoined with the rhythm of clapping hands and amplified music, presented the welcoming prelude. Anxious but expectant we entered the 20ft square room that snugly held its occupants, but proved helpless against the jubilation. It was the sound of Good News! A mouse, roused by the happy gathering, emigrated safely along a rafter. Beneath the tin panel roof, greetings, introductions, and recitations came in confident procession bringing both physical and spiritual warmth to our dwelling. With passionate unity, children testified to the Shepherd of Psalm 23, claiming by faith the promise of protection, provision, and peace. They recited Isaiah’s words of deliverance by a Wonderful Counselor. They lifted high the name of Jesus. Creativity blossomed in small hands that firmly pressed crayons to paper. Craftsmanship found expression through the weaving of colored thread. Entwined in those twists were happiness, gratitude, and friendship. We shared a communal meal and prayed for each other. Our brief time of life together with the children of Kara Kibera, their pastor, their “mama,” their teachers, and their caretakers drew us into the beauty of a holistic development of mind, body, and soul. We received a vision for restoration, born from the hope of redemption. It was wonderful. Yet we live in tension. The perplexity of disparity. The need for solidarity. The responsibility of knowledge. The call to be faithful. But there is Good News, and He is alive in Kibera!